I love Wordless Wednesdays, but I do admit on not being very dedicated about it.....yeah I forget a lot! So while I was visiting Focused on The Magic, I decided to join the blog hop fun for The Disney Wordless Wednesday :) This week's theme is Disney Weenies and no its not the type of weenie that refers to someone like me who chickens out of rides like Tower of Terror, LOL! No, no, no-as Debs from Focused on the Magic explains, Disney Weenies are the focal points in every park. Now I had to do some digging to find my pics of one of my many favorite Weenies! 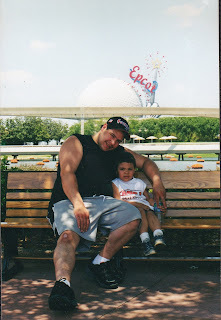 This was taken in 2002 during my son's 1st visit to Disney! 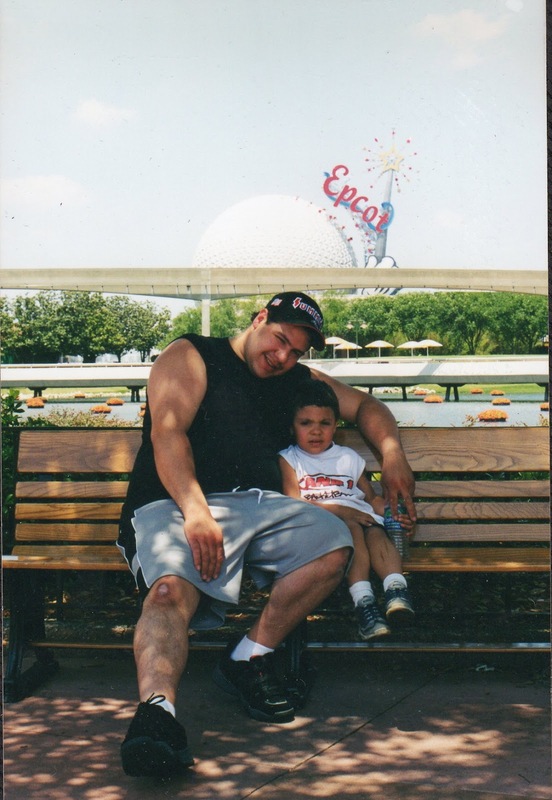 This is from our last trip to Epcot in 2010! Again in 2010, I love seeing it at night! What's your favorite Disney Weenie? Great shots of the golf ball :). I love them all, but enjoy the detail on the tree of life. Thanks for sharing this week! I LOVE Spaceship Earth at night too! 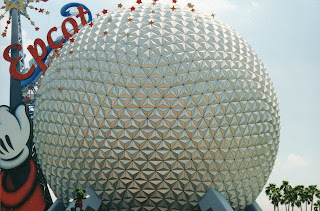 Great shots of Spaceship Earth! Love the coloring at night. Thanks for sharing! Love the shot of hubby and son! Thanks so much for sharing and for joining in on the blog hop fun today!! 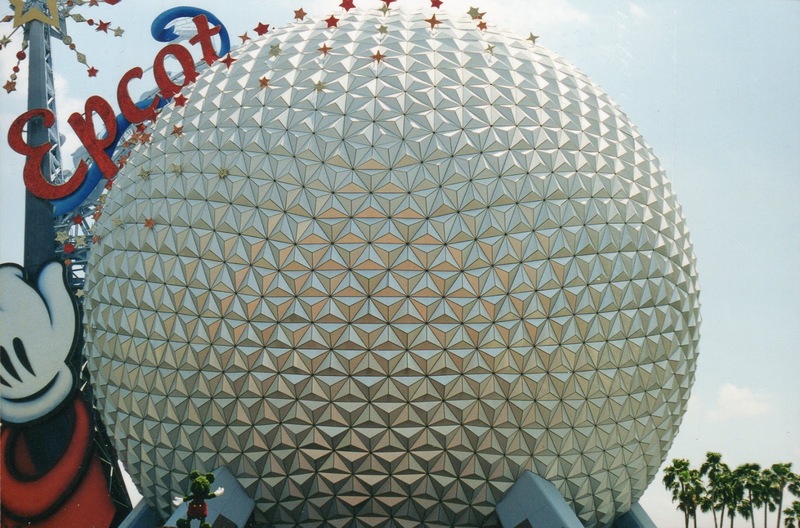 Gorgeous photos of Spaceship Earth. I love this Weenie, but my favorite is still probably Cinderella's Castle since seeing that really means I am at WDW. I loved the way it looked in 2002 with Mickey on the side with the wand - it was awesome. Can't wait to see your photos from your upcoming vacation.